Unlock Your Creativity and Change Everything! 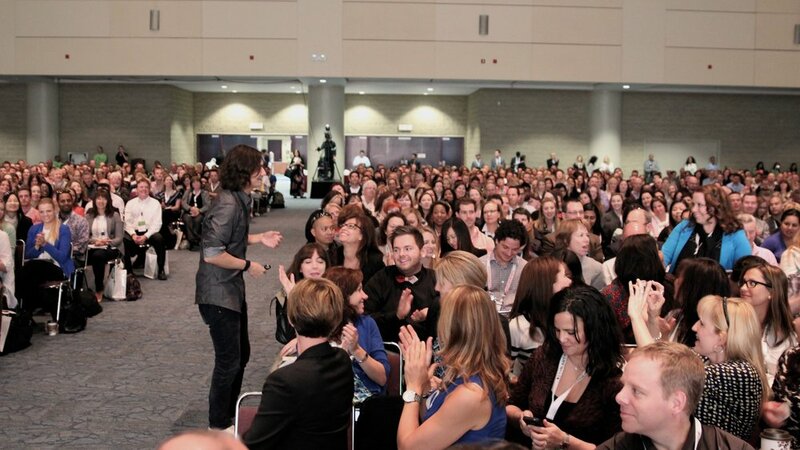 When innovative companies like Google, 3M, Cisco, Pepsi, Xerox and SAP want to inspire creative thinking in their employees and executives they bring in David Usher. David doesn't just talk about creativity, innovation and artificial intelligence, he lives it. Drawing from his unique experience as a multi-platinum, 4 time Juno award winning musician, best-selling author and as the founder of the artificial intelligence creative studio Reimagine AI, David defines the path that companies and institutions can follow to reboot their creativity in this brave new world of disruptive change. Using examples from inside the disruption of the music business by the digital economy to his experience at the forefront of the artificial intelligence revolution working with companies like Google Brain, David reveals why now more than ever creativity and innovation is the only way forward and your last, best competitive advantage. In his dynamic presentation, he electrifies audiences and demonstrates that creativity and creative success is a learnable skill that anyone can master. His interactive keynotes use live music, video, improvisation, technology, and humour to show audiences the steps they can take to jumpstart their creative process in their work and their lives. In this new world where innovation runs like water, creativity is not a risk or a luxury. It is absolutely, a necessity.